Have you ever wanted the characters from two different stories to meet each other? Would they blend together like sweet and sour pickles, or would your meddling make things worse? Cranky Gertie Cramp is bitter, selfish and hard to please. Contented Bedelia Bell is happy and accepts what little life has to offer. 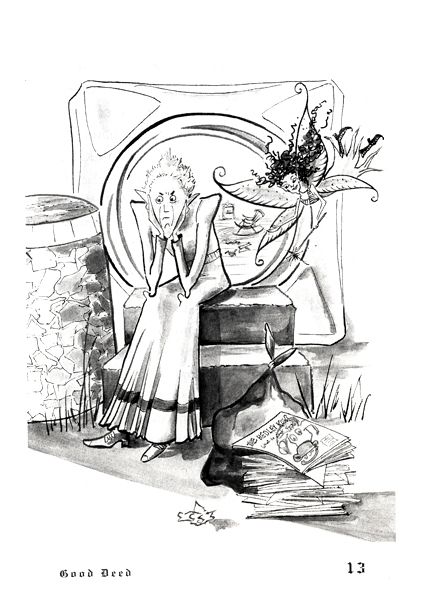 Frizella the frazzled fairy is tired of cleaning pee-pots and just wants to graduate from Wish-Granting School. How much can these three characters affect the way the other sees the world? 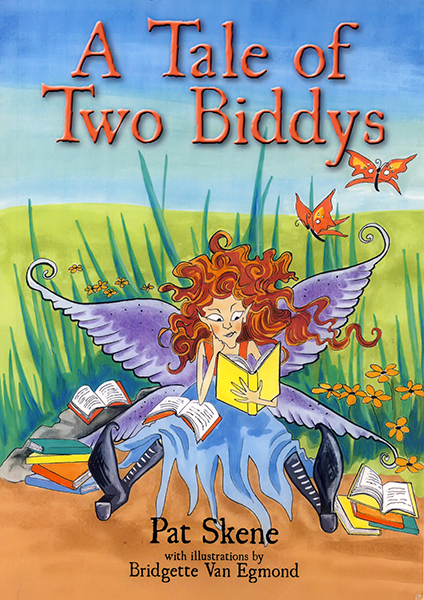 A Tale of Two Biddys is the result of merging the characters from two classic folktales, The Old Woman Who Lived in a Vinegar Bottle and The Hedley Kow, into one remastered story with a twist of fate. The word “Biddy” has many meanings. 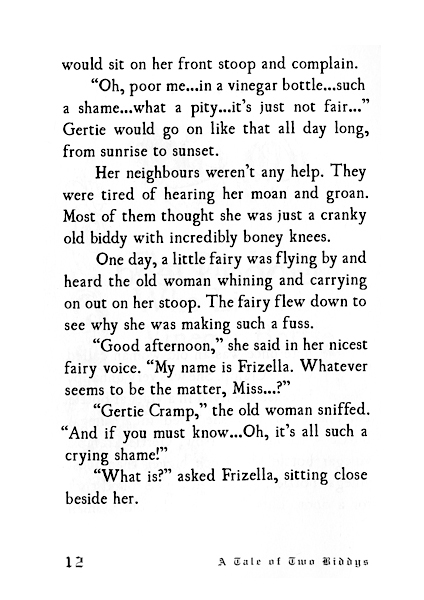 It can be slang for describing a difficult or annoying elderly woman, like Gertie Cramp is this story. Biddy is also the short form for the name Bedelia, who is also a character in the book. In the 1600s chickens and hens were called biddies. This story has two biddys, but no biddies! Story details are reinvented with every telling. In the original Brothers Grimm version of Snow White, the tale ends with the wicked Queen being forced to wear a pair of red-hot iron shoes, and dance in them until she drops down dead. And in their version of the Frog Prince, the spell is broken when the princess throws the frog against the wall in disgust instead of kissing him. She probably had anger management issues like Frizella in this story! Many fairy tales have been reinvented several times over the ages. It’s believed that people have been telling different versions of Little Red Riding Hood for over 1000 years! Amazing stuff! Read all this and more, in A Tale of Two Biddys.